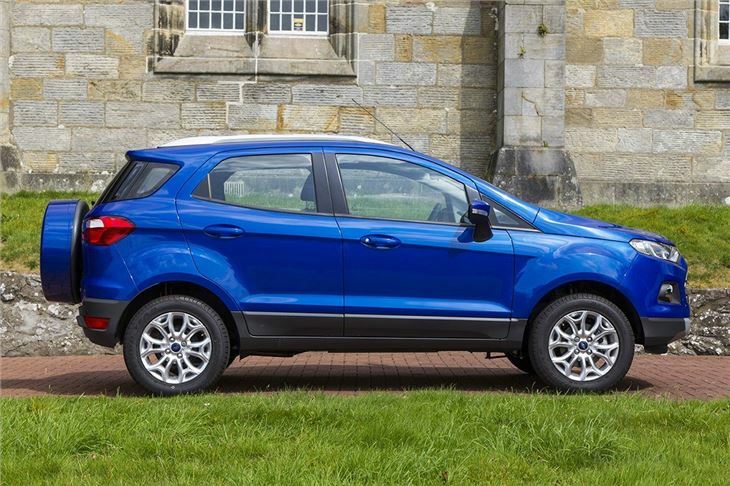 While everyone else has had to start their small crossover designs with a blank slate, Ford simply looked elsewhere in the world. 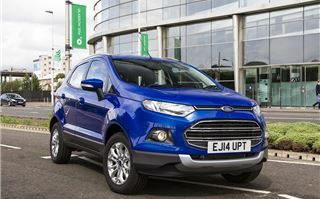 The EcoSport, in one form or another, has been on sale in South America since 2001. 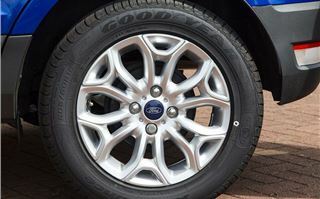 It arrives in the UK as one of Ford’s ‘Global’ models, other examples of which include the upcoming Mondeo and the current Focus. It’s certainly distinctive and judging by the success of the Nissan Juke, distinctiveness is no bad thing. 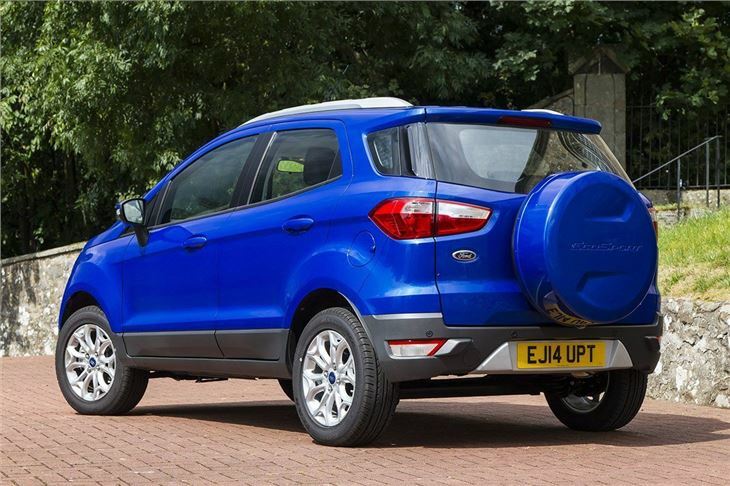 It looks like a proper little SUV with its side hinged rear door and externally mounted spare wheel. 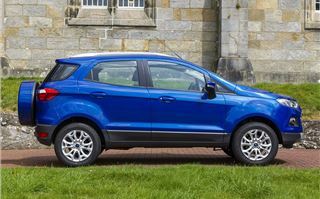 But banish any preconceptions about climbing up mountainsides and crossing rivers – the EcoSport is front-wheel drive only, care of its Fiesta platform. 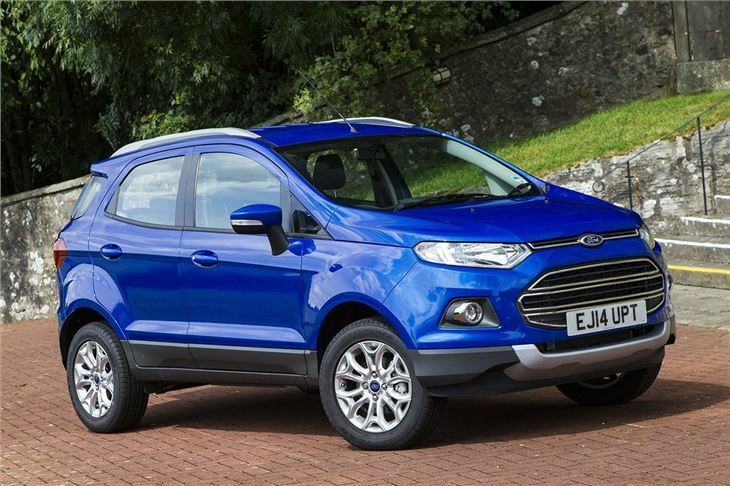 It shares its range of three engines with the Fiesta too – there’s a 1.0-litre Ecoboost with 125PS, a 1.5-litre diesel engine with 92PS and a 1.5-litre petrol engine with 112PS, the latter of which will be available with a six-speed Powershift automatic transmission from 2015. 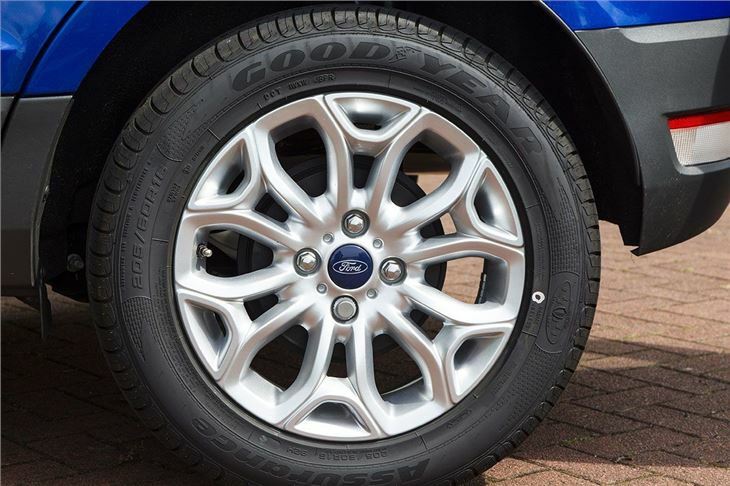 The rest of the range comes with a five-speed manual gearbox as standard. 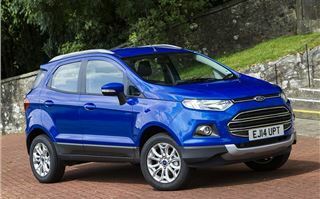 The diesel - tested here - is the most frugal engine in the range, with official economy of 61.4mpg and emissions of 120g/km, meaning it falls just within the threshold of VED band C. The 125PS EcoBoost is the next best choice, but it misses out on band C VED thanks to emissions of 125g/km, which means more expensive road tax. 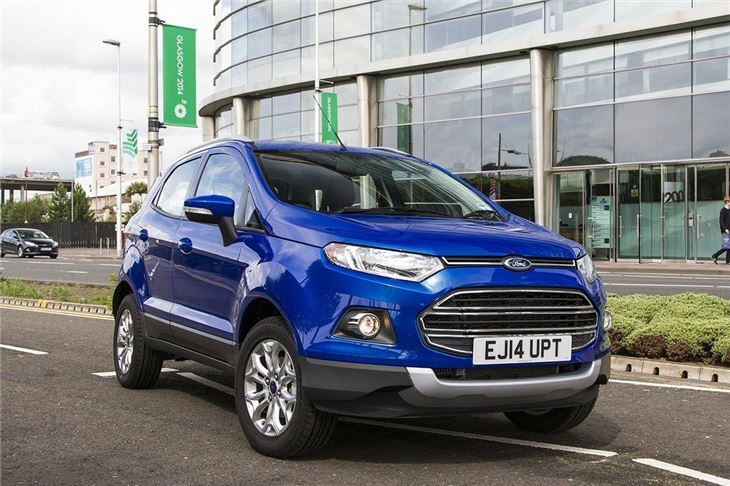 The EcoSport’s cabin layout will be very familiar to anyone who has been in a Fiesta, with the same sculpted dashboard, an identical infotainment screen and even a similar driving position. 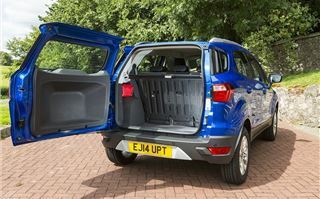 That said the EcoSport has a very different, high-up view of the road – which for most drivers is a good thing. 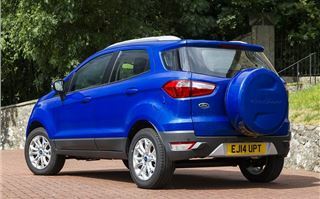 Not so good is the material quality – the EcoSport’s plastics don’t feel quite as durable or plush as those in a Fiesta or even rivals like the Suzuki S-Cross. But while the plastics might not be up to scratch there is plenty more to like. There’s space in the back row for adults to sit comfortably and there are numerous storage bins and cubby holes for odds and ends. 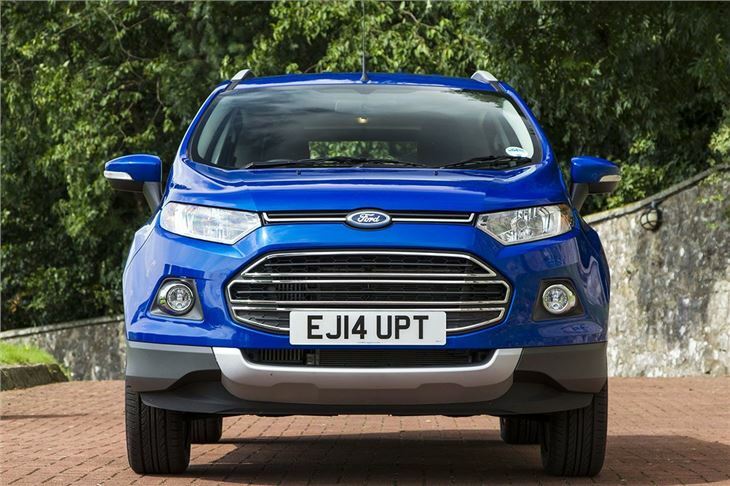 Thanks to Ford’s decision to only offer the EcoSport in top Titanium trim you get a good level of standard gear. 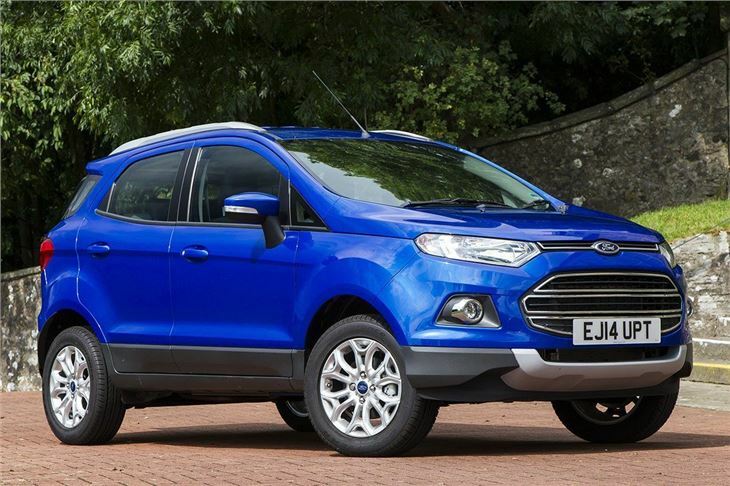 This includes 16-inch alloy wheels, a full-sized alloy spare wheel, LED running lights, keyless start and climate control. The options list for the UK is fairly small thanks to the comprehensive standard equipment. Buyers can choose a Titanium X pack, which adds automatic and wipers, leather seats, an auto-dimming rear-view mirror and cruise control. Ford Sync is also optional and allows the driver to control mobile apps like Spotify by voice through the car’s Bluetooth system. 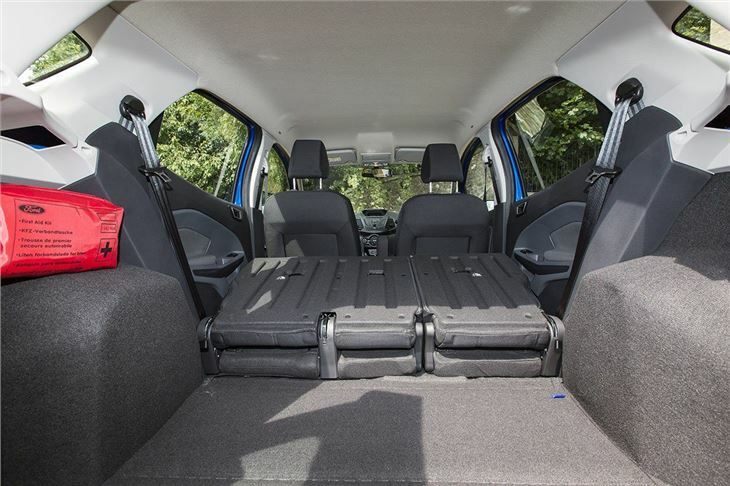 The boot is a good size at 310 litres and although it’s a little behind the Vauxhall Mokka and Peugeot 2008 for outright volume, it doesn’t feel small thanks to a nice low load lip. 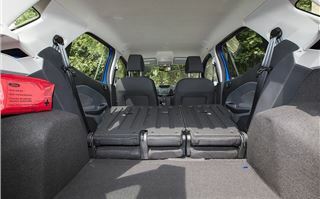 Folding the seats down increases space to 1238 litres, although you can't fold them completely flat. 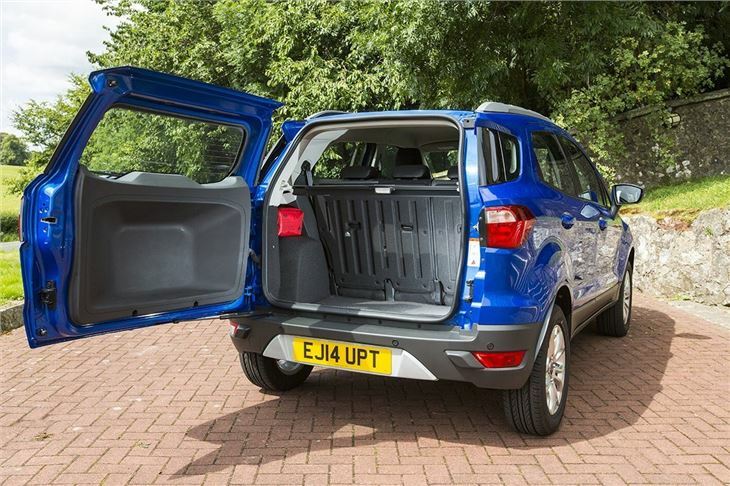 Unusually the rear door on the EcoSport is side hinged, which isn’t ideal – it’s too big for tight parking spaces and it opens the wrong way for UK kerbs, meaning you have to walk around it to get on and off the pavement. 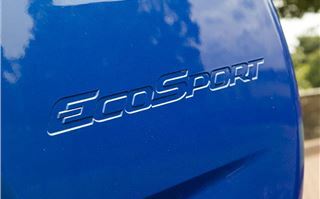 On the road the EcoSport is a competent car. It feels at home on rough UK tarmac, with a well-judged suspension set up that absorbs most imperfections quietly and comfortably. 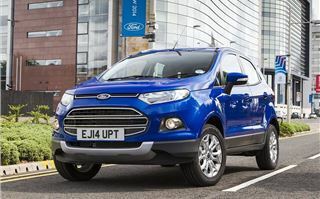 Unfortunately the EcoSport isn’t as sharp or as fun as the Fiesta it’s based on – the steering isn’t as precise or positive as you’d expect from a Ford and there isn’t as much bite or grip from the front wheels as you would get from a Nissan Juke. That’s not to say it’s bad. Despite its shortcomings it’s still more comfortable and enjoyable than the likes of the Vauxhall Mokka. 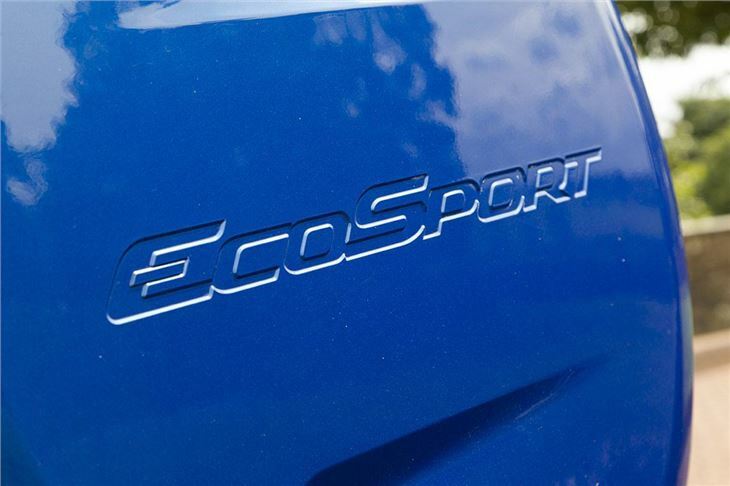 If comfort is a priority more than agility and handling prowess, there’s little to fault with the EcoSport. 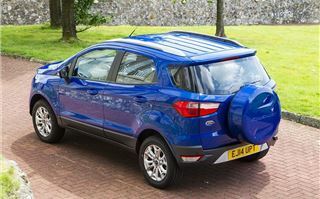 We drove the 1.5-litre diesel on Scottish roads and found its torque output of 205Nm enough to amble along from corner to corner without constantly changing gear, plus in any case the gearbox is pleasant to use. Performance from the diesel engine is hardly scintillating, with a 0-62mph sprint time of 14 seconds - and it can be a little vocal when pushed hard. 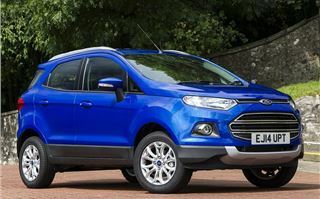 But for gentle country driving or dual-carriageways it’s the engine we’d go for, especially when you consider the reasonable £500 premium over the 1.0-litre Ecoboost petrol engine, which is just as competent but perhaps better suited to a town driver. 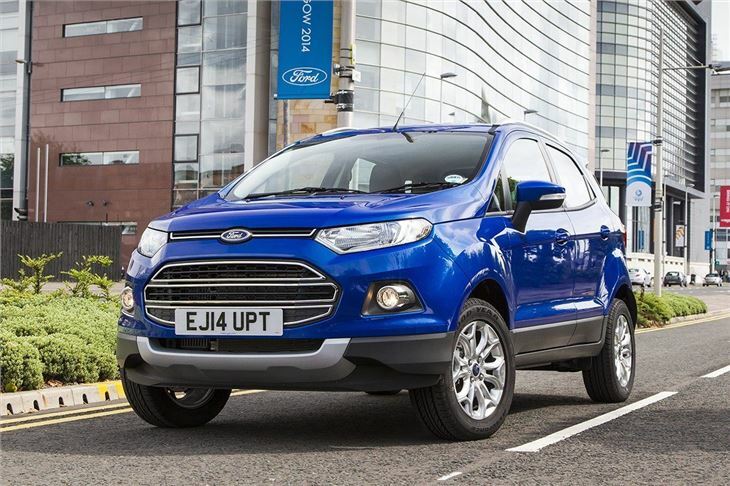 Overall the EcoSport is a perfectly worthy, if not exceptionally special addition to an ever-increasing selection of small SUVs. 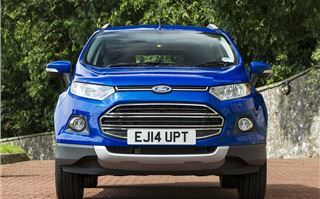 It’s reasonably priced, distinctively styled and practical, plus it’s a decent car to drive. 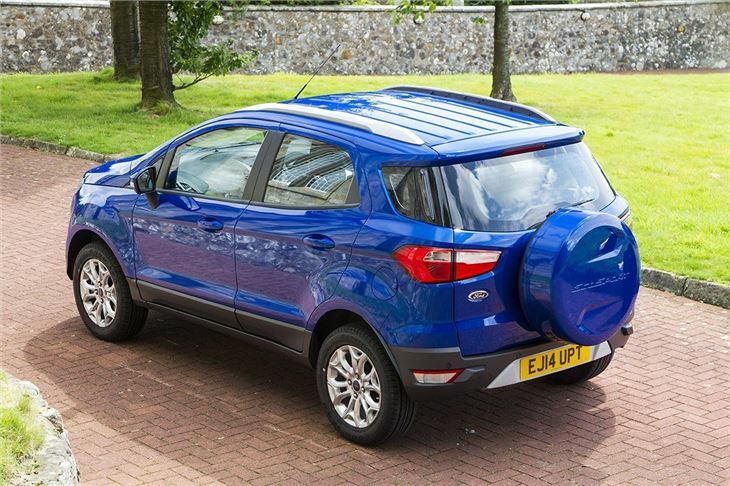 It might not be as sharp as other Ford models and its side-hinged rear door is more of a hindrance than a help, but there’s enough to like here to make it worth a look.